If I feel, physically, as if the top of my head were taken off, I know that is poetry. peonies, palms, rockets, straight into her brain? and doubt, science and salvation, stunned her? dazzled her with their afterbloom? pale target, take it right between the eyes? trembling and reaching for her pen? This poem first appeared in Verse Wisconsin (Issue 103, Summer 2010). Marilyn L. Taylor served as Poet Laureate of Wisconsin from 2009 - 2010. Her award-winning work has appeared in many journals and anthologies, and she is the author of six collections of poems. Marilyn taught for many years at the University of Wisconsin-Milwaukee and, in 2004, was appointed to a two-year term as Poet Laureate of Milwaukee. 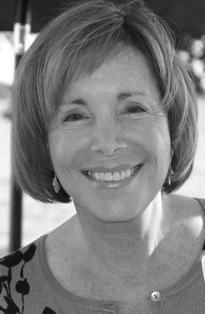 She was a columnist for The Writer magazine for five years, and currently serves on the board of directors for the Council for Wisconsin Writers and the Advisory Council for the MFA Program at Western State Colorado University, Gunnison, CO. Marilyn now lives in Madison, Wisconsin, where she continues to facilitate workshops locally, statewide, and beyond. Learn more about her at www.mlt-poet.com. The idea of it, this poem, alone, is stunning. It's amazing what sets off the imagination, and in writing this piece Ms. Taylor provides an interesting look into the process, as well as a good poem. This poem is so well done and so much fun that it takes a second reading (if not more) to realize how many facts it shares with us about the poets Emily might have been reading. Pale target! Magnificent image in a magnificent poem. Loved thunder/stunned her! Right on target, Marilyn. Oh how the poet in me yearns to have some work of mine blow someone's head off. A perfect sonnet, Marilyn. Fun and a great use of form! only marilyn could come up with these rhyme ideas .. thunder/stunned her and such. my fav words: ... she, pale target. omg. jeanie t.
I feel like my own head is being blown off because of these generous comments. Thank you so much, everybody! Awsome firing, dazzling, detonating tribute to a favorite poet who stole all the best words from the garden. We all love this because such thoughts have floated around our own heads but we never managed to make art of them. Brava! Love this. Reading it again and again!! Marilyn, an excellent tribute with some very clever lines!